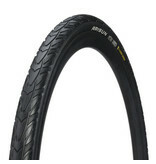 The Arisun Metro Runner is a fantastically versatile urban and/or trekking tyre, at home on dirt roads or city streets. The deep arrow grooves help to disperse water and debris and thus improve traction in the wet and dirt. The textured sidewall tread increases grip and traction for you to handle turns. 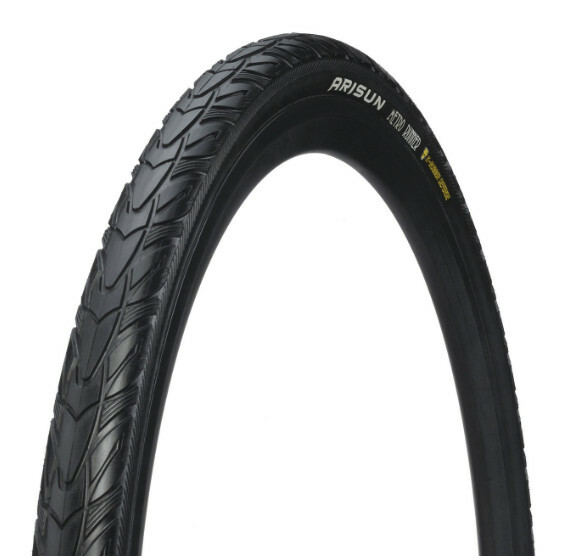 This tyre also comes with the Arisun KD 1.5mm Kevlar compound anti puncture belt and a reflective stripe on the sidewalls for improved visibility. This is a wire bead tyre and is therefore non folding.